Who is this ‘strong thinker in terms of right and wrong’? …had a tendency to think in terms of right and wrong, instead of terms of legal and illegal. Because he thought that his motives were always good for the things that he wanted to do, he found difficulty in thinking that there could be legal limitations on them. [He] was not a legalistic-minded person. He was not an economic-minded person. He was a strong thinker in terms of right and wrong, for which he frequently went back to quotations from the Scriptures. Certain things just were not right in his view’. Does that ring a bell? Wrong. It was about Franklin Delano Roosevelt, from the memoir of Roosevelt, ‘That Man’, the last paragraph of Chapter 4 (‘That Man as Lawyer’), OUP 2003, by Robert H Jackson. 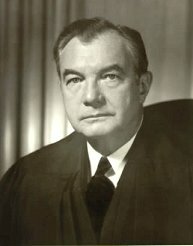 Jackson was United States Chief Prosecutor at the Nuremburg Trials, Attorney General of the United States, and a Supreme Court Justice. In 1953 he began to write a portrait of FDR which was still unfinished when he died in 1954. The manuscript was discovered and edited by John Q Barrett, a law professor at St John’s University in New York. Barrett also incorporated excerpts from transcripts of oral history interviews Jackson gave to Dr Phillips of the Columbia University Oral History programme. The transcripts had been edited by Jackson, and were finished just eight days before his death. Hat-tip to my wife, voracious reader, who spotted these splendid pieces. See date of this item.